1) One of the big trends of this past year was an explosion of one-stop market-restaurant hybrids that opened, or were slated to open — some more successful than others. 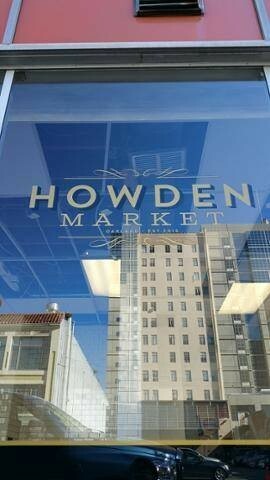 Oakland’s latest, Howden Market (1630 Webster St.), is slated to open officially the beginning of next week, on January 4, but word on the street is that the market is in soft opening mode this week. Run by the folks behind the Spice Monkey restaurant next door, the market-deli-cafe will sell a mix of fresh produce, coffee, to-go foods, spices, and house-made sauces. 2) Eater reports that Cafe Eugene (1175 Solano Ave., Albany), a restaurant specializing in Pacific Northwest cuisine, will open for business — breakfast, lunch, and dinner — on January 13, in the old Little Star Pizza space. The restaurant is run by the team behind nearby Boss Burger and Little Star (the latter of which moved down the block a few months back). 3) Blue Bottle is opening a new cafe in downtown Berkeley, on the first floor of the building that houses the WeWork co-working office space at 2011 Shattuck Avenue, Berkeleyside Nosh reports. 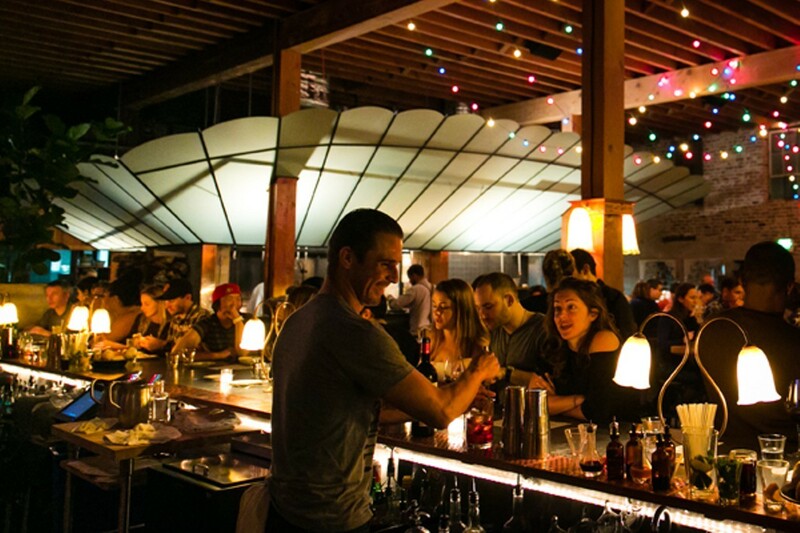 4) Tablehopper notes that Penrose (3311 Grand Ave., Oakland), Charlie Hallowell’s North African-inspired small plates restaurant, will serve Saturday and Sunday brunch starting this Sunday, January 3. Options include a $25/pp “Moorish Breakfast” served for the whole table: a selection of flatbreads and spreads, Merguez sausages, scrambled eggs, clementines, dates, honeyed almonds, French feta, and more. 5) Berkeleyside Nosh notes that B-Side Baking Company (3303 San Pablo Ave.) — the Tanya Holland-owned bakery in West Oakland that replaced B-Side BBQ earlier this year — appears to have closed. Indeed, the message on the bakery's answering machine indicated that the business has actually been closed since the end of September. We’ll update if we get more details on the future of the space. 6) Premier Cru (1101 University Ave., Berkeley), a high-end wine business that has been embroiled in a series of lawsuits regarding failure to deliver on promised wine futures — has shuttered its brick-and-mortar retail store, Berkeleyside reports. 7) Still haven’t made New Year’s Eve plans? Lots of food-centric options in this year’s Express guide. 8) It’s that time of year when food writers compile various top-ten lists. Berkeleyside Nosh compiled a pretty good two-part list of East Bay-centric picks from chefs and other local experts. 9) Speaking of which, ICYMI, here’s my “Best Bites” list for 2015.